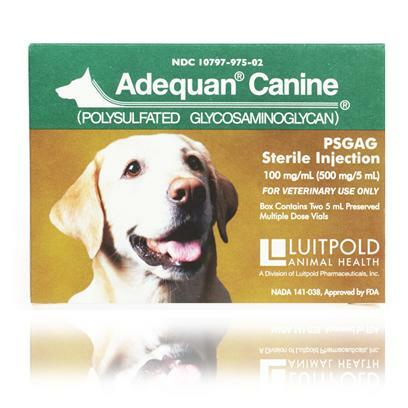 Adequan Canine is a prescription medicine for dogs injected intramuscularly that is safe and effective in preventing cartilage in your dog's joints from wearing away. Easy to use, it helps keeps your pet's joints healthy. Rated 5 out of 5 by 25 reviewers. Less than half the price paid at the Vet! Adequan for my doggie. Works! As close to a miracle drug as I can find.